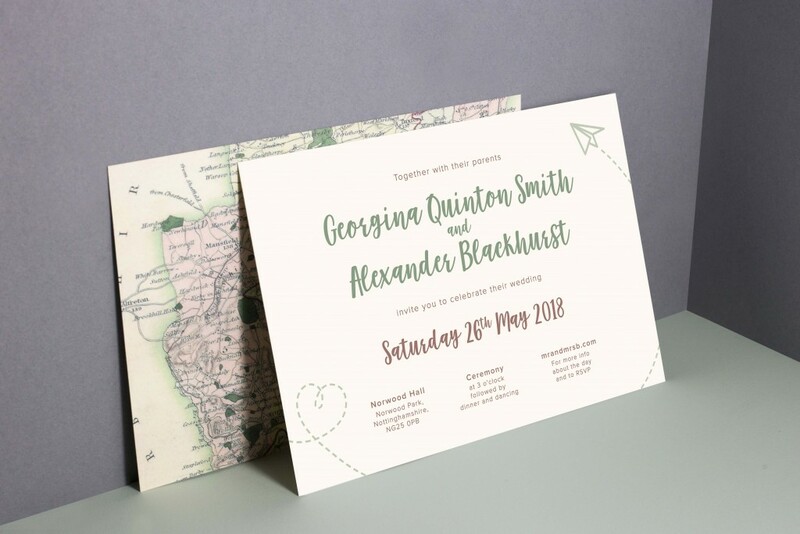 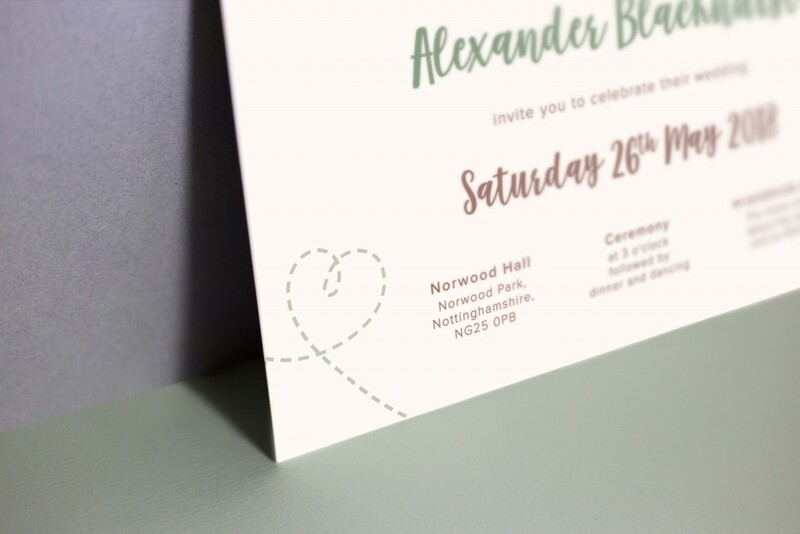 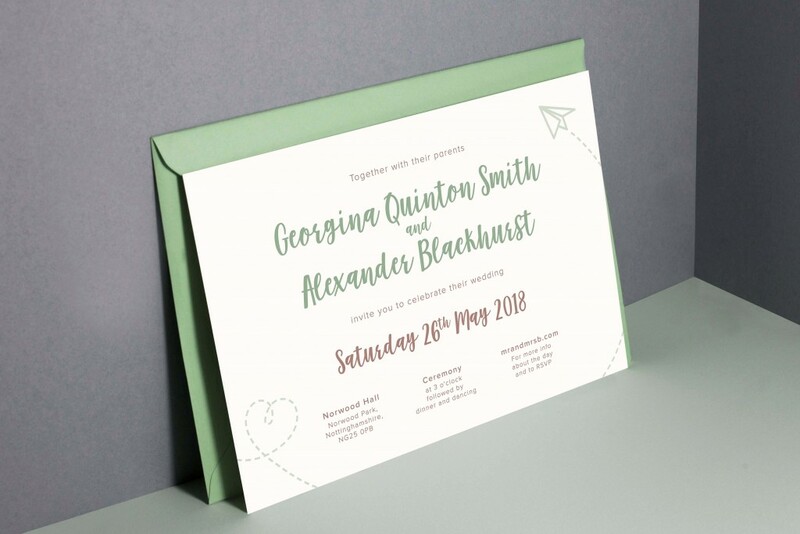 Georgina and Alex had already chosen the theme of travel for their wedding stationery when they came to us for bespoke wedding invitation design. 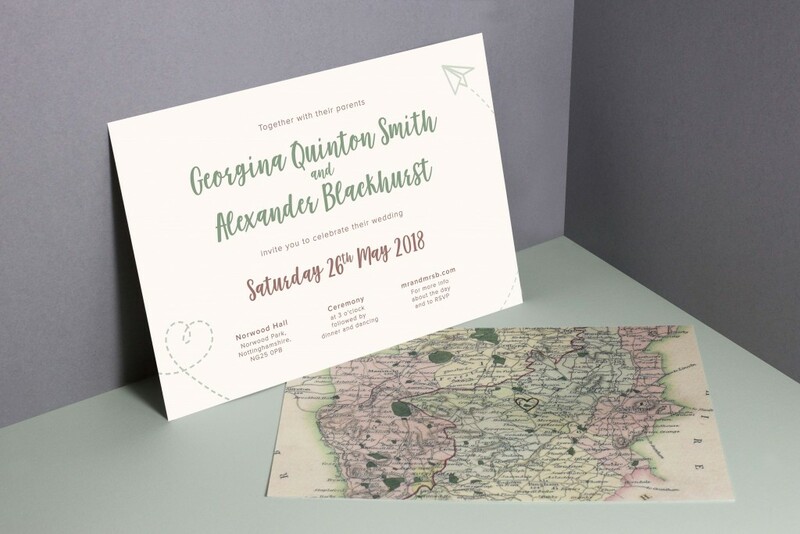 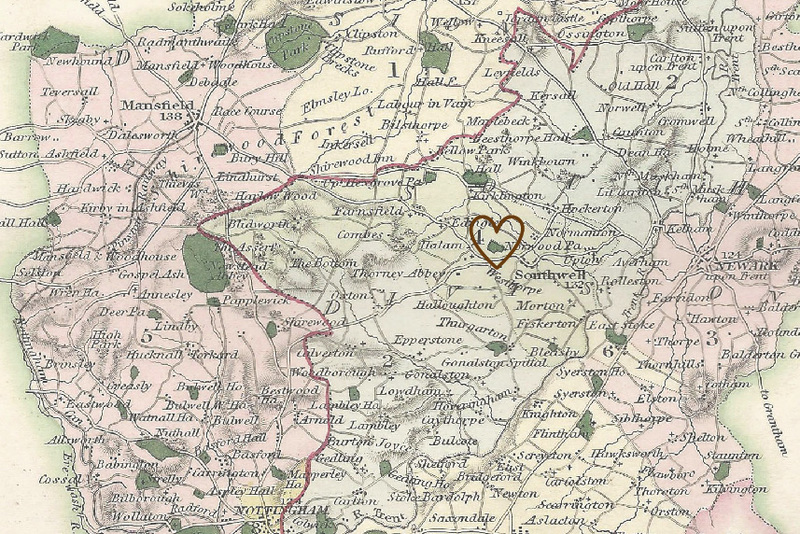 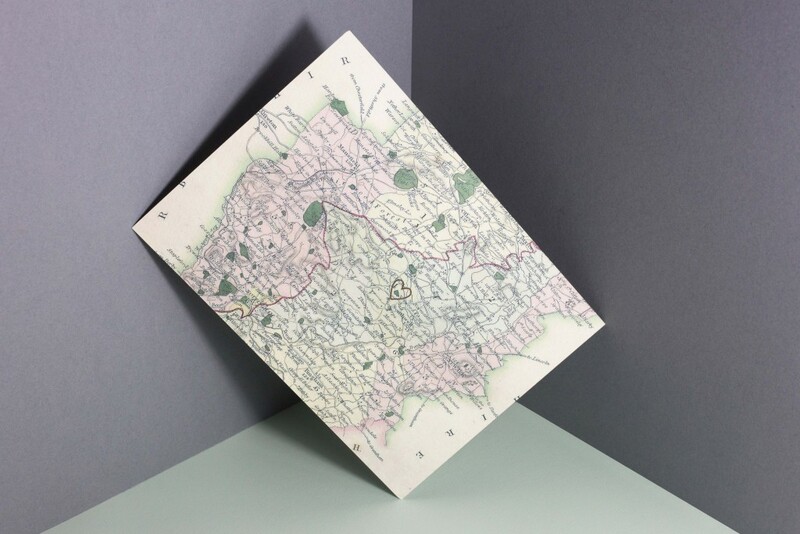 They were getting married at the gorgeous Norwood Park in Nottinghamshire, so we combined a old vintage map of the area alongside little nods towards their love for travel. 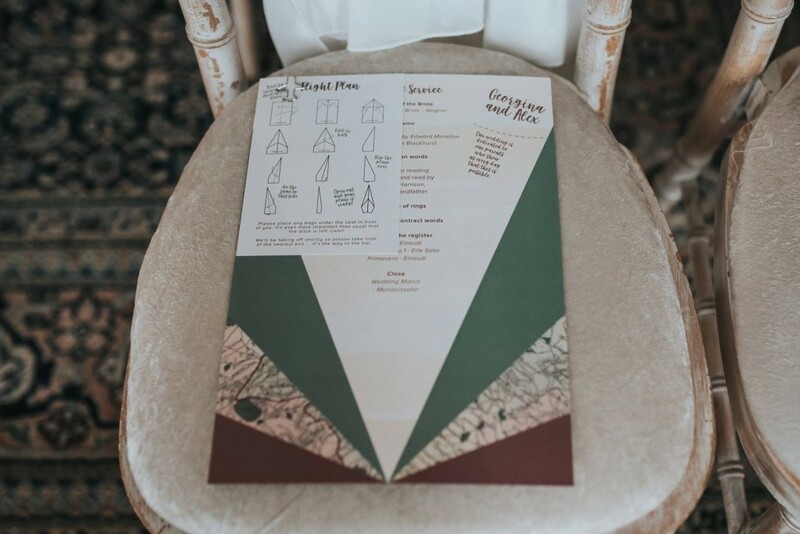 The colours were kept quite muted, greens, creams and browns, with the map adding some warm pink tones into the mix. 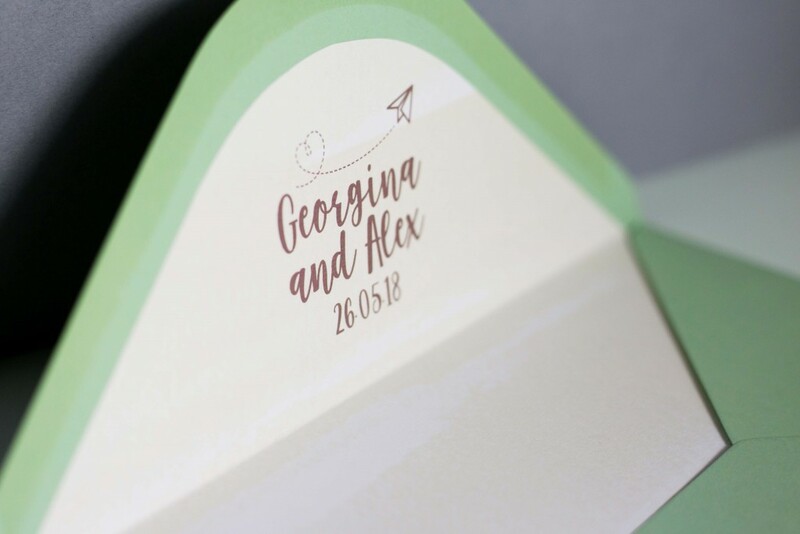 When their guests opened up the invites there was an envelope liner featuring their wedding monogram on the inside. 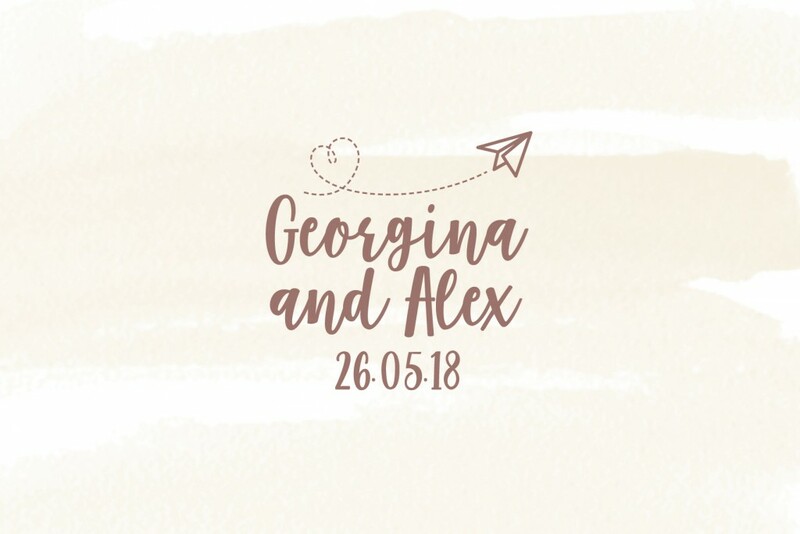 We also designed table names, menus, place names and an order of service for Georgina and Alex. 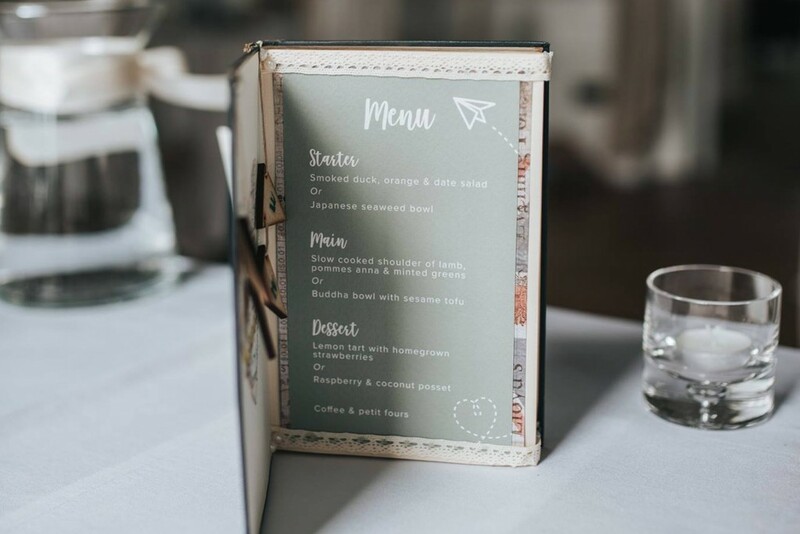 It’s always nice when couples use our stationery in arty ways, they placed the menus inside books to make a feature on the tables. 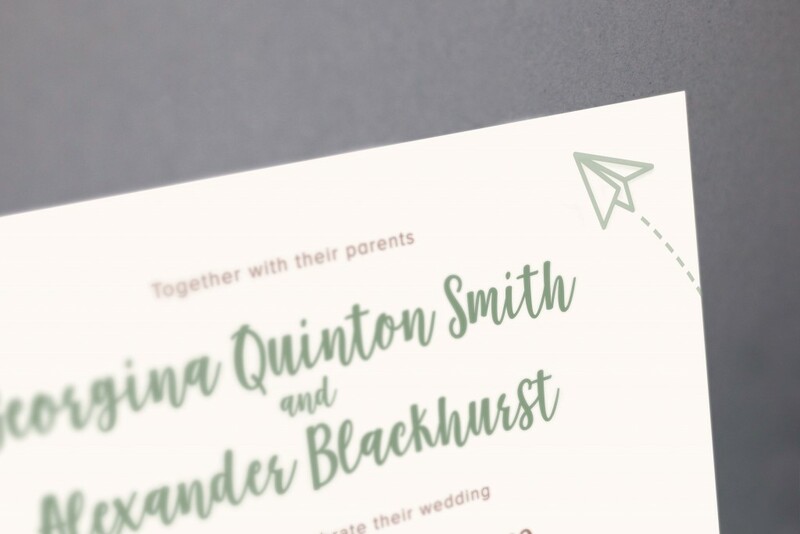 They also had the idea of making their order of services turn into paper aeroplanes which was fun to design!